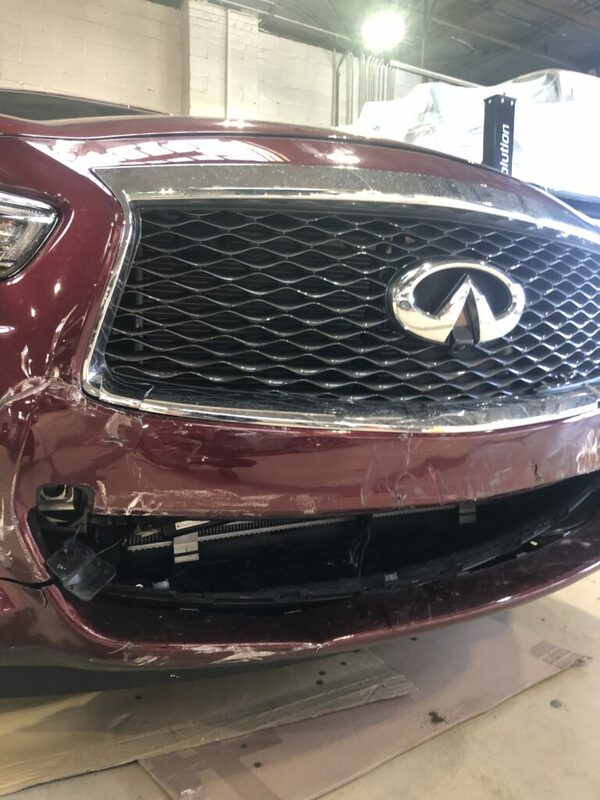 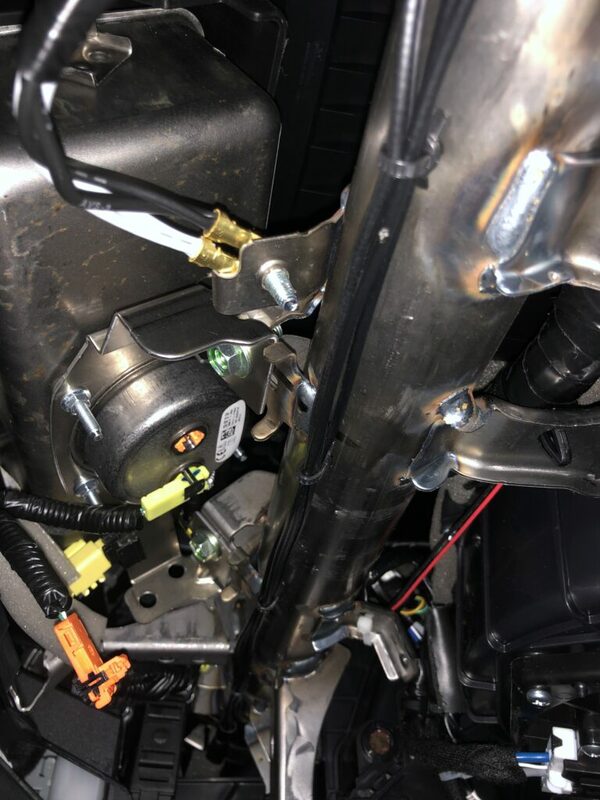 This may look like a minor accident, but Infiniti requires specific tasks to be performed and items checked to make sure the SRS (supplemental restraint system) is intact and will work correctly in a subsequent accident. 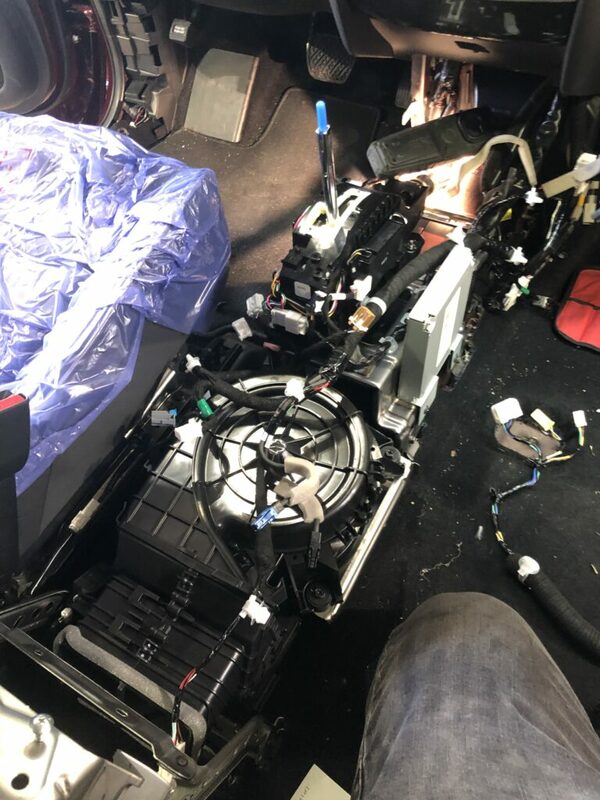 This includes procedures such as removing airbags to check that connectors have not been damaged or deformed by heat, inspecting seat belts, seat belt tensioner connectors and inspecting the occupancy classification system. 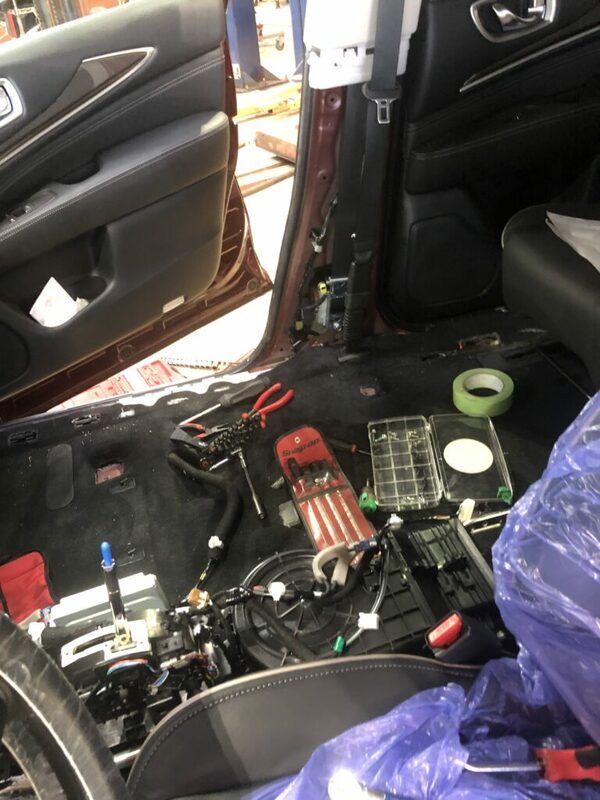 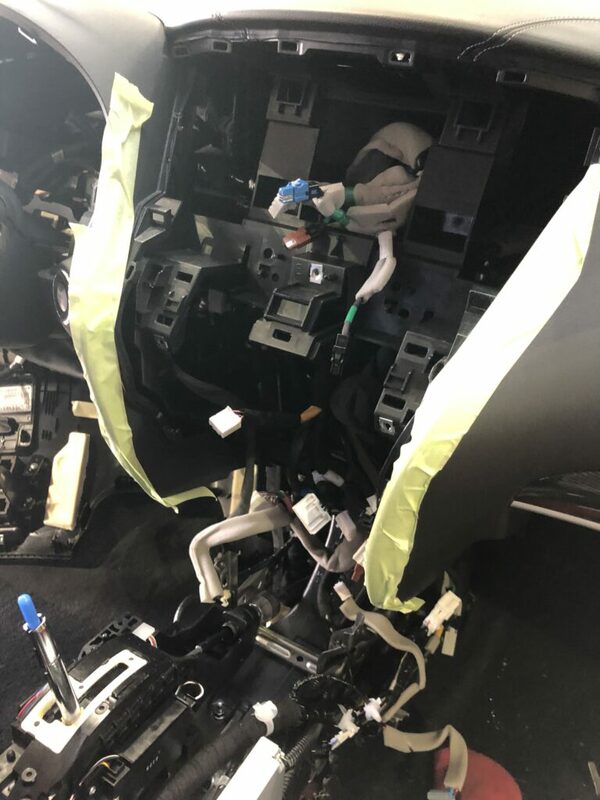 The inspection of the OCC alone requires removal of passenger front seat, inspection of terminals, installation and torquing of new seat bolts and recalibration of the occupancy sensor. 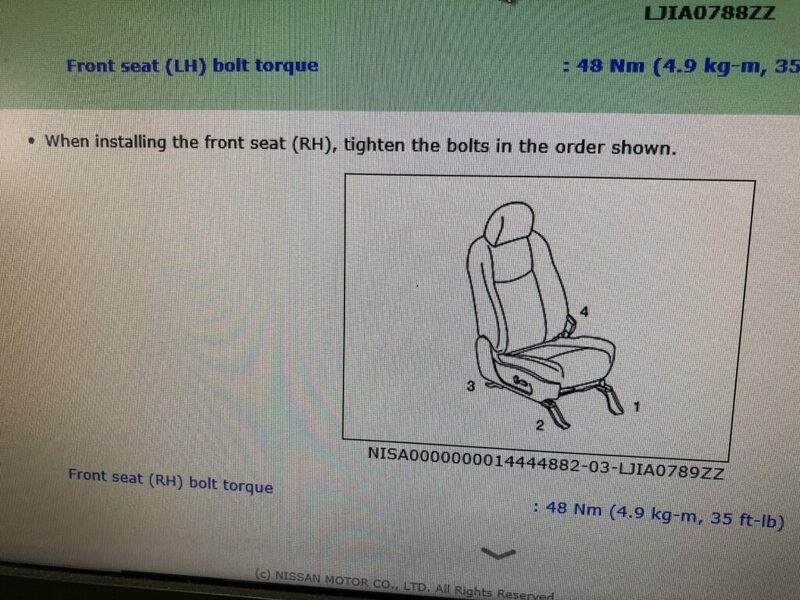 If this repair sounds complicated, that’s because it is! 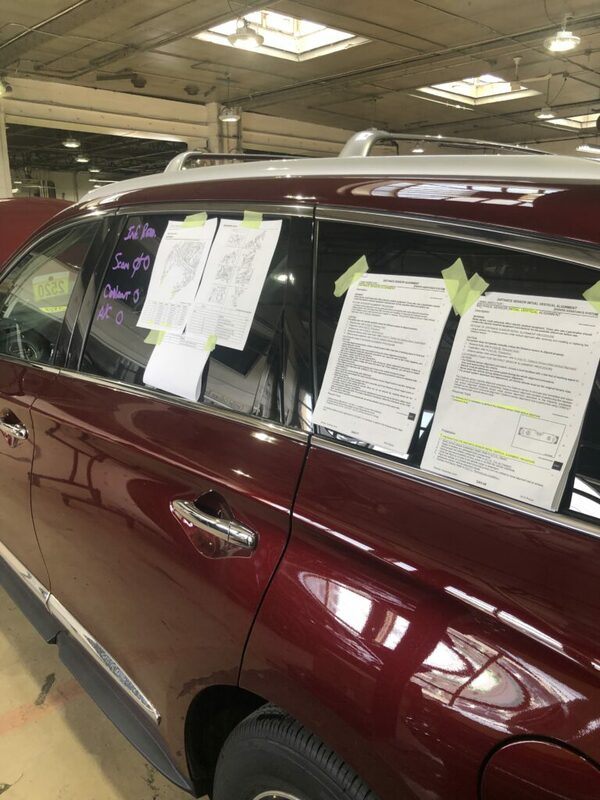 Can you be sure that your collision repair shop is even aware of these technical requirements? 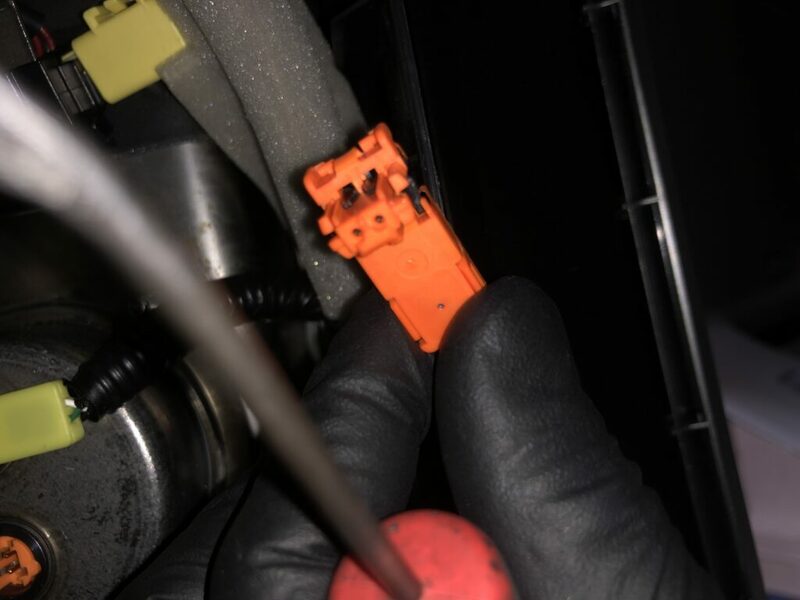 How can you ensure that your repair experts are concerned enough to take the time to repair your vehicle correctly? 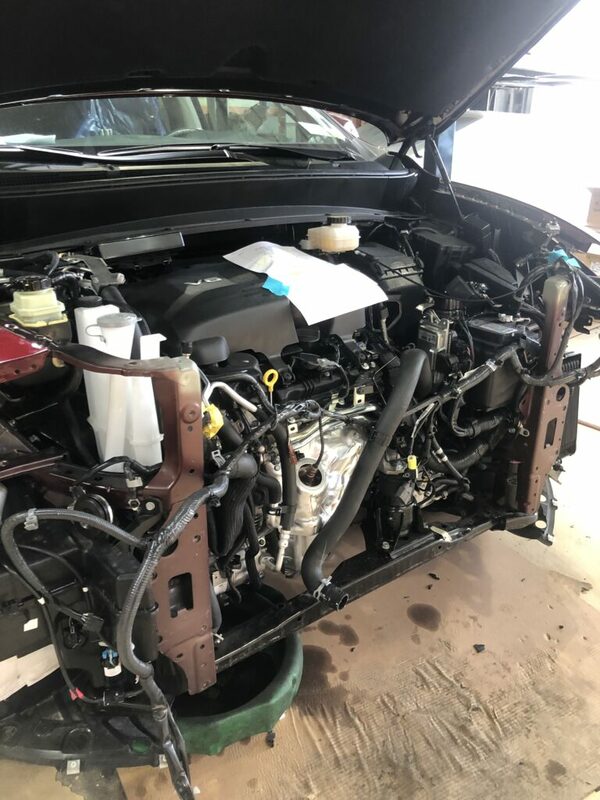 Fiero Collision has your safety in mind. 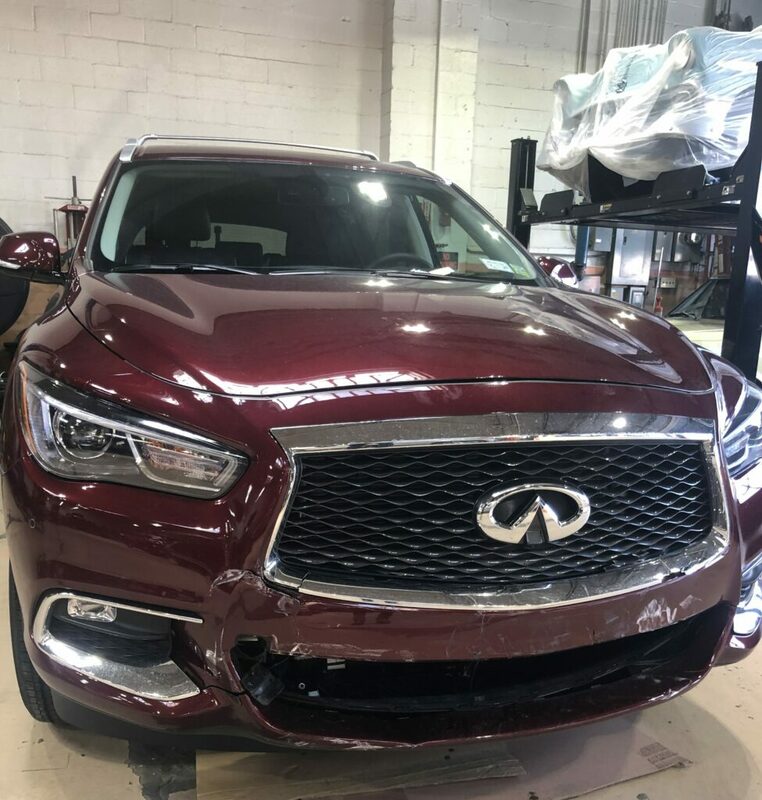 As an Infiniti certified collision repair shop we have the training and access to the information required to repair your vehicle correctly. 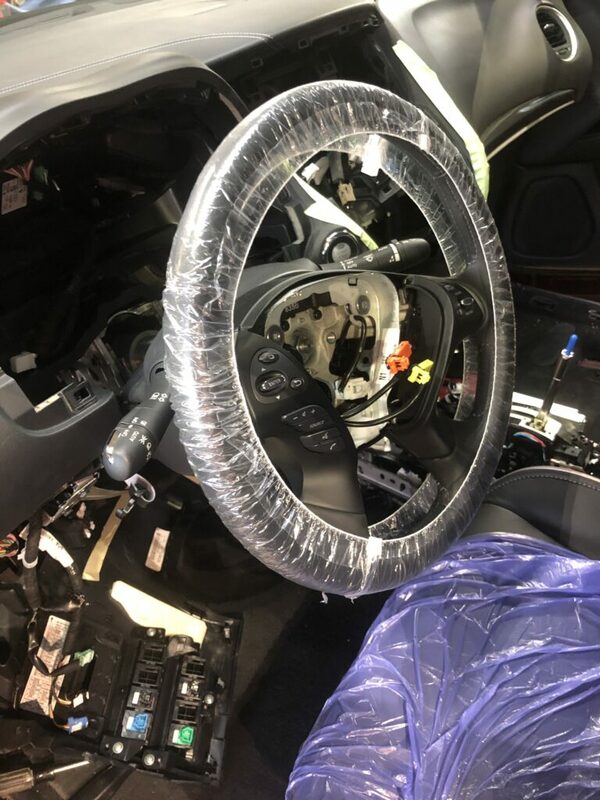 When you receive you vehicle back after a repair, you will receive the piece of mind that your family is safe while driving to your next destination.